There’s a lot of stuff wanting your support via crowdfunding these days, so to save you sifting through the hundreds of different campaigns here’s a few highlights that are worth your attention and support. This time we’re focussing on comics and sequential art with four distinctly different books from different creative teams, taking in Noir, Horror, History and the Western. Black Mumba is a graphic novel of noir inspired stories set in Mumbai seen through the eyes of a weary police inspector. Black Mumba first appeared as a single story named “Dead Rain” back in 2012 which featured in the Blood Root anthology published by Sawdust Press. 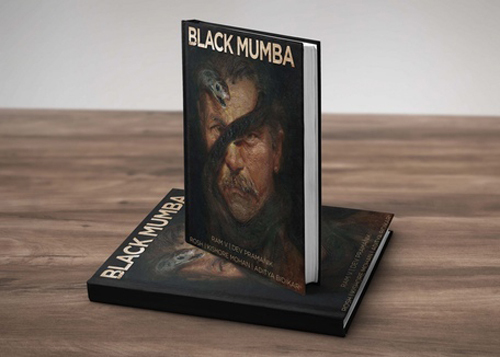 Why is Black Mumba worthy of your attention? Besides a collection of noir stories set in Mumbai, which in itself is pretty interesting, the whole creative team from writer Ram V to artists Devmalya Pramanik, Kishore Mohan, ROSH and artist, letterer and editor Aditya Bidikar are all from India with most still living there. A story set in Mumbai being written by a writer who lived in Mumbai makes a big difference and an art team who are from India also makes a big difference to the visual identity. 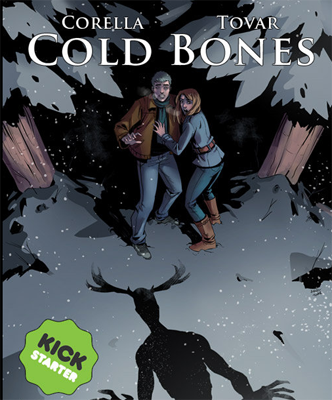 Cold Bones is a horror graphic novel by writer Jenn Corella and artist Angel Tovar set in the Ithaqua Mountains. Cass and Richard Ward are setting out on a trip to help out Cass’ troubled brother Aiden at his cabin, only the trip soon takes a turn for the worse as the group faces an ancient evil. Why is Cold Bones worthy of your attention? One of the big reasons is Tovar’s art which looks great but another is it’s refreshing to see a horror story that doesn’t revolve around the usual zombies, vampires, etc but rather taps into the Native American folklore of the Wendigo, a malevolent evil spirit with a taste for cannibalism. Whilst there have been various films, books and TV shows that featured stories built around the Wendigo I haven’t seen a graphic novel. In Search of Hannibal by Nikolas Lloyd and Christopher Steininger is a graphic novel which tells the story of the Second Punic War and how Hannibal Barca, a military commander from Carthage, earned his place in history in a fight to secure the freedom of Carthage from Rome. Why is In Search of Hannibal worthy of your attention? Whilst you might be familiar with something about Hannibal involving elephants that’s just the tip of the iceberg Hannibal hadto conquer Spain, cross the Pyrenees mountains, fight his way through the territories of the hostile Gauls in southern France, out-manoeuvre a Roman army to get to the Alps, and then cross the mountains at the mercy of the cruel weather, and that’s the short version. The Second Punic War is so rich with mindboggling military feats that you don’t have to make stuff up for dramatic effect and Lloyd and Steininger aren’t planning on it. 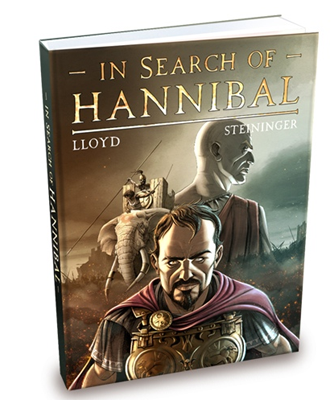 This will be a historical story telling Hannibal’s story in a medium that is far more accessible that a history textbook thanks to Steininger’s art. For more on In Search of Hannibal go here. 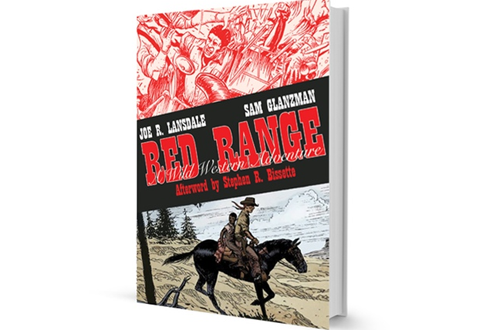 Red Range by Joe R. Lansdale and Sam Glanzman is a “Western” story set in the 19th century in the Lansdale style – weird, violent, and comical. Out of print since 1999 Drew Ford is wanting to bring Red Range back into print in a new edition via his It’s Alive publishing company. Why is Red Range worthy of your attention? For those that don’t know Joe R. Lansdale has written numerous novels, short stories and a few comics too, with several being adapted for film (Bubba Ho Tep memorably featured Bruce Campbell playing an aged Elvis Presley fighting an Egyptian mummy in a nursing home) and TV (like the Hap and Leonard books which inspired the recent series of the same name) whilst Sam Glanzman’s detailed art deserves to be seen by a wider audience.